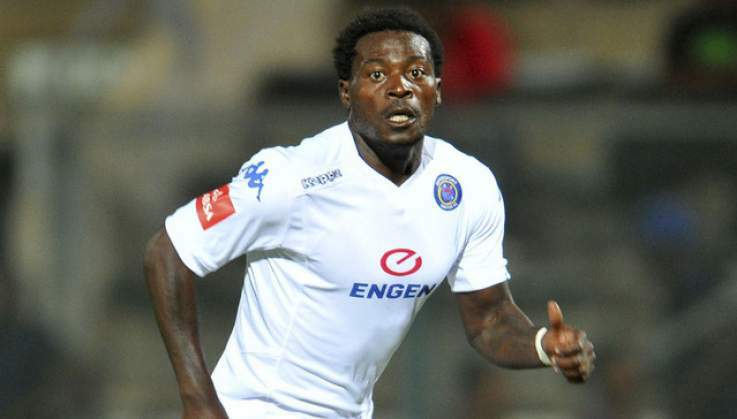 THE Dynamos management have moved to clamp down on simmering indiscipline after they suspended four players yesterday, including former Warriors striker Kingston Nkhatha who joined them two months ago. Club co-captains Obey Mwerahari and Marshal Machazane and fellow defender Peace Makaha were handed suspension letters following an executive meeting at the National Sports Stadium on Monday night. The players were handed their letters of suspension yesterday and are now expected to appear before a disciplinary committee in the next 14 days to answer to the charges levelled against them. During this period, the four, who have been picked out as being "a bad influence'' in the DeMbare dressing room, are expected among other things to abide by the conditions of the suspension. They have been told that they are not allowed to set foot at the club's training ground and are barred from attending any of the club's remaining league games until they have been cleared. Nkatha and his colleagues stand accused of being the ring leaders in the plot to boycott the Chibuku Super Cup semi-final against Triangle which DeMbare lost 1-2 at Rufaro at the weekend. Club chairman Isaiah Mupfurutsa yesterday said the move to suspend the players was taken in response to lack of professionalism and gross indiscipline that have been growing in their camp. "Firstly, I hope you will appreciate that since we came in office we have never issued a statement of this nature. This is the first time that we have had to do this and that in itself shows we have reached a breaking point. "These four guys have been suspended pending a disciplinary hearing, the reason being gross lack of discipline and unprofessional conduct. "This means they have a window to defend themselves. The outcome of the hearing will determine the way forward; whether we are going to stick together or part ways. "We did not just wake up to this decision, but thorough investigations have been carried out. "If you remember in our last interview, I mentioned that discipline is key in any organisation. "We are a club with a code of conduct, just like any other big institution, and we expect everyone at Dynamos to be bound by it if we are to really succeed. "But we have realised that the lack of professionalism and indiscipline among our players could go out of hand if it remains unchecked," said Mupfurutsa. The turmoil in the DeMbare camp comes at a time when the Glamour Boys have been battling hard to survive relegation this year. They are currently stationed in the bottom half of the table after collecting 40 points from 31 starts. DeMbare have been enjoying a steady recovery under caretaker coach Lloyd Chigowe but they still need one win in their remaining three games to be sure of survival. The suspended players are not available for selection for this Sunday's game against Triangle and could also miss the games against Mutare City and Nichrut. It is alleged that the quartet influenced the other players to refuse to go into camp on Saturday night ahead of their assignments against Triangle. The players are owed bonuses for three games that ended in draws. But their salaries, which are paid by their sponsors NetOne, are up to date and Mupfurutsa yesterday said the executive have made huge strides in paying all the winning bonuses. The Harare banker said the executive is seeking to understand the behaviour by the suspended players who are accused of trying to hold the club at ransom on the eve of every key game. Speaking to The Herald yesterday, Mupfurutsa said the DeMbare executive has constantly been engaging their players and are making efforts to clear all the arrears. "I think as a club we have to respect our partners. We have sponsors who are paying our salaries religiously every month and from the 31 games that we have played we won 10 and all the winning bonuses are paid up. We also drew 10 and we have paid the bonuses for seven of the games. "As a club we have been doing our best under very difficult conditions. Sometimes the bonuses are paid on time and sometimes we encounter delays but honestly, I don't see the reason for anyone to fear. "If we have managed to pay all those winning bonuses, how then does one reach the conclusion we will fail on three draws? The players will tell you, we have been working very hard on this." Mupfurutsa said the players have been given two weeks to respond, while dismissing aside a Facebook video that was posted by some of the accused players. The post, which was later pulled down, featured Nkhata and Machazane scoffing at the executive's decision to suspend them. "The club has written to them and we expect them to write back to us. So far no one has responded to our correspondence so we cannot react to hearsay or what is acting on the social media. "These are players under contract and we have official lines of communication that we expect to be followed. I wouldn't want to comment on that (Facebook post) but, on the flip side, it shows the kind of people we are dealing with," said Mupfurutsa.